Thanks for your interest in joining us at the sixteenth Ohio LinuxFest! 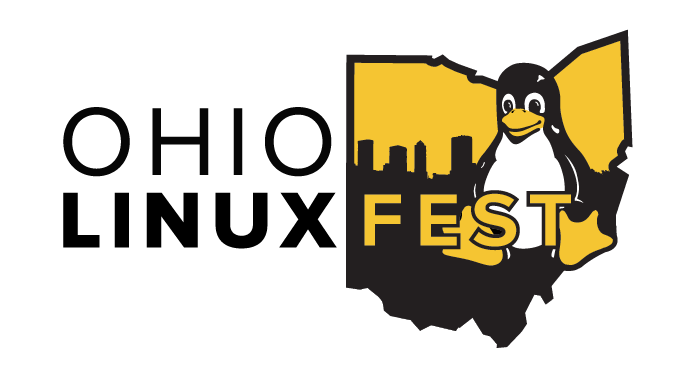 You might not realize, Ohio LinuxFest is a tax-deductible non-profit organization and our staff is all volunteers. Sponsors and attendees entirely fund the event. Most years, we typically only bring in enough funds to cover the expenses for the event that year. While we offer a "name your price" registration, if everyone doesn't pay we will not be able to cover expenses for the conference. If you are a professional attendee with your company's support or can afford to be a paid registrant, please consider registering as "Supporter" or above. Ohio LinuxFest Institute includes professional technical training. If everyone paid full price to attend, we would be able to offer much more to you as an attendee such as meals and wireless access. We appreciate your generosity as it helps Ohio LinuxFest continue into the future. Children under 13 are welcome without registration when accompanied by a registered adult..
© 2019 ShowClix on behalf of Ohio LinuxFest Corporation. All sales are final. Tickets are non-refundable.